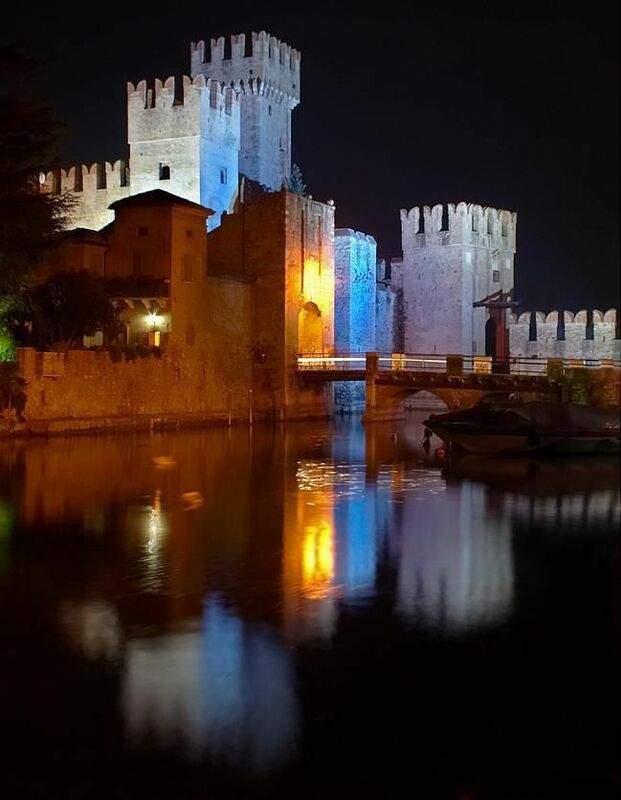 Castello Scaligero (Scaligero Castle), in the commune of Sirmione, sits on a thin peninsula jutting out into the southern end of Lake Garda. 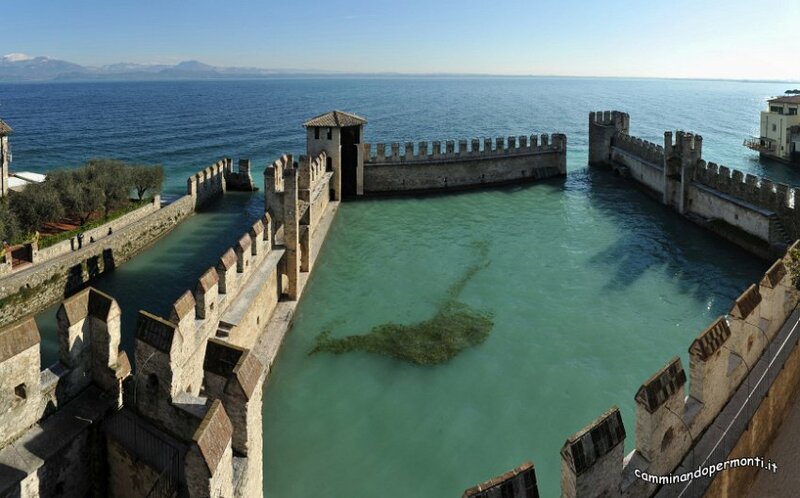 Essentially, the ramparts of the castle function as a small fortified harbor for what was the Scaligera fleet. The castle has a de facto moat (the surrounding lake) and even a drawbridge through which visitors enter. There are 146 steps which take you up to ramparts of the walls which look down upon the little harbor. There is a small walkway around which bowmen would be stationed to ward off any intruders from the lake in addition to defensive towers. 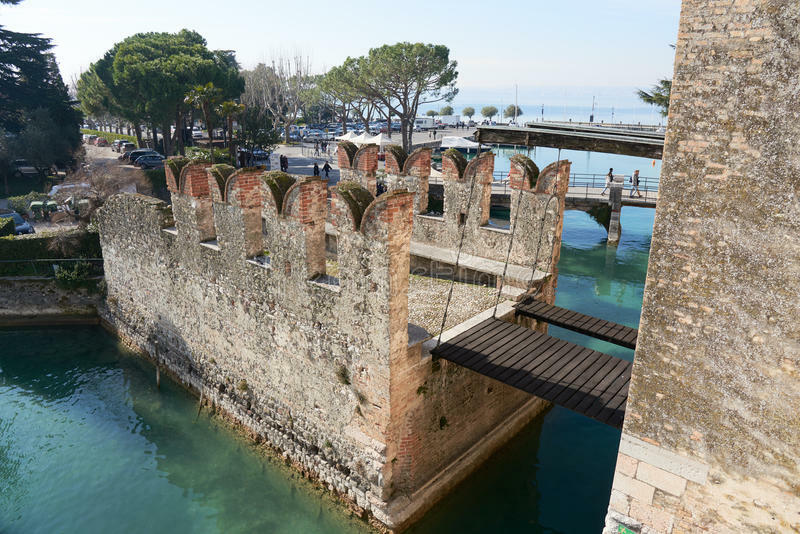 Sirmione Historic Center — After visiting the Castello, take a stroll around the old town of Sirmione. There are shops, restaurants, gelaterias, pizzerias and beautiful architecture. Be sure to take in a passaggiata (stroll) at dusk to Piazza Callas and its pier that juts out into the lake. Archaeological site of Grotte di Catullo — Ruins of a sizable Roman villa on a peninsula with an olive grove & a nearby archeological museum. It can get crowded in high season, but worth a visit. Mantua & Peschiera del Garda — Mantua is a wonder town surrounded by manmade lakes which create a huge moat. 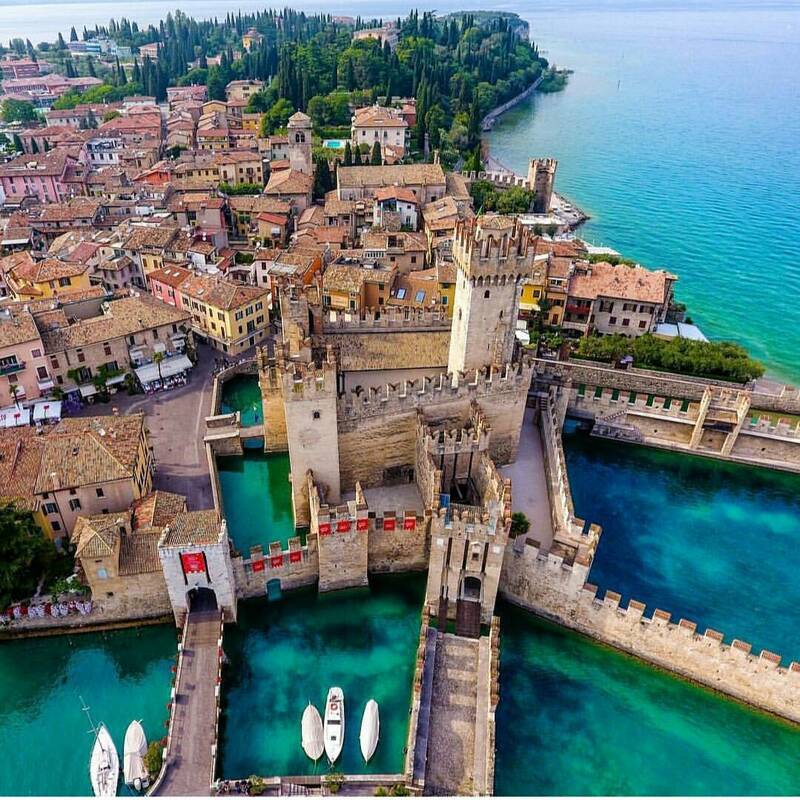 Peschiera del Garda is a “water” town–surrounded on all sides by the River Mincio which connects to the lake.